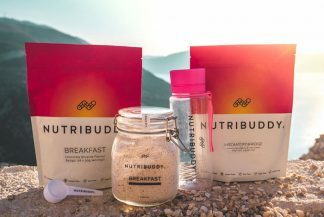 How does Nutribuddy support work? At Nutribuddy we like to do things differently. Pretty much everything we do goes against the norm and our customer service is no exception. We receive hundreds of support tickets every day and most of those tickets are asking the same questions, so we don’t think it’s very good to pay staff to relate the same answers with varying degrees of accuracy. This would mean our customers would have to pay more to cover the costs of these extra staff writing the same answers time and time again. 1. We have written FAQs to cover all common questions and problems. These FAQs give really detailed answers and quick solutions to common problems. 2. For most problems such as exchanges / returns / damaged items you can report these quickly and easily from your account area by clicking the “Returns / Report Problem” link next to the relevant order. 3. We also continually improve our processes to avoid you having to ask questions and to minimise any potential problems. Our monthly customer service satisfaction rating usually ranges between 99% and 100% positive feedback, so this approach seems to make our customers happy. Previous post: How do I order / How much do the products cost? Next post: How do I earn more Nutribuddy Points?